Distracted? Let's build a movement for technology designed to help us spend time well. Oculus is building a VR version of their React library, making it more feasible to create complex 3D and VR experiences on the web. Use a wizard to load data from any web API and use it part of different automated workflows on iOS. 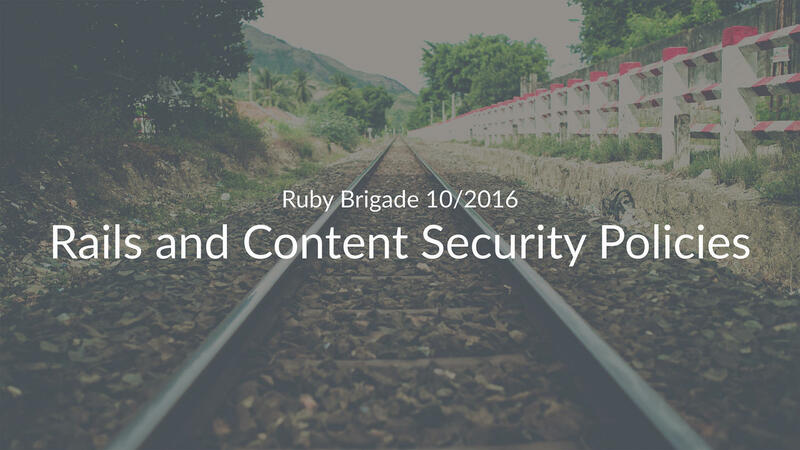 Slides for Matias's talk about Rails and Content Security Policies at this month's Helsinki Ruby Brigade. What out what a CSP is and why you might want one on your site. We are a bunch of multi-talented digital craftspeople based in Sörnäinen, Helsinki. Kisko Coffee Break is about sharing things we've read and found useful and inspiring, with you every couple of weeks. Any thoughts on the topics? Tweet at us @kiskolabs or write to contact@kiskolabs.com and let's discuss!